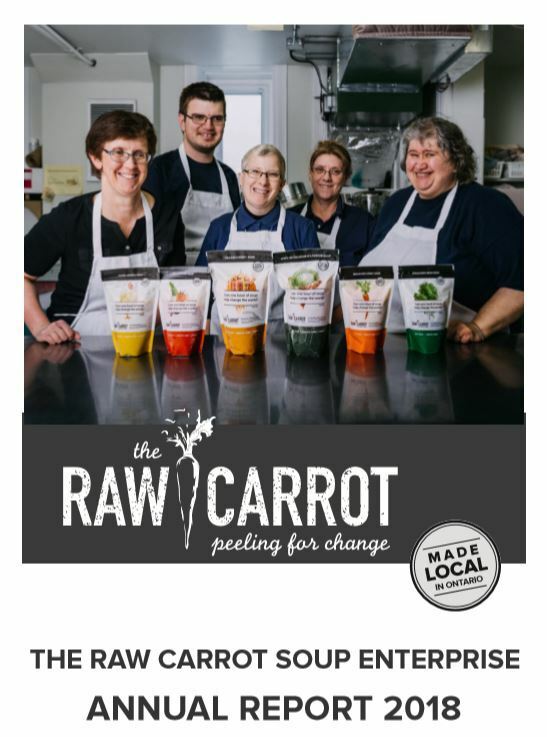 Annual Reports: The Raw Carrot leadership team is dedicated to sharing the success and growth of our work with the community. We are excited to highlight the accomplishments of our staff for the first 4 full years of operation through our 2015 – 2018 Annual Reports. 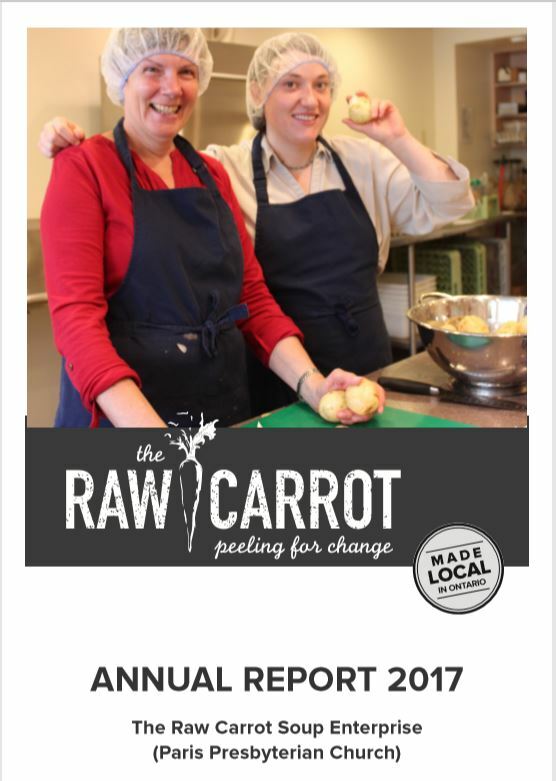 We love to pay tribute to the generosity of our supporters! 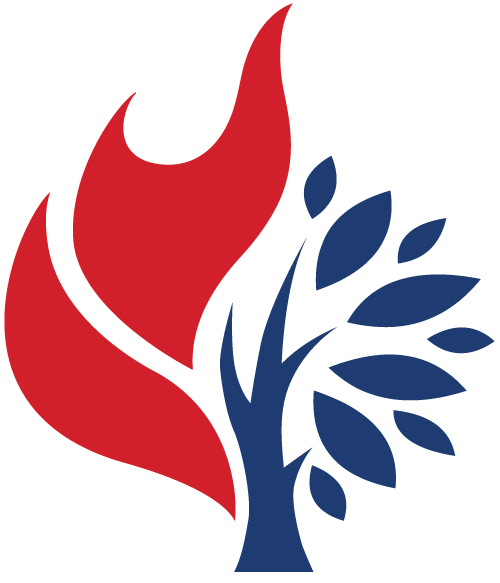 With the dedication of our staff and volunteers we have learned many lessons along the journey and through God’s grace have grown beyond our initial dreams. 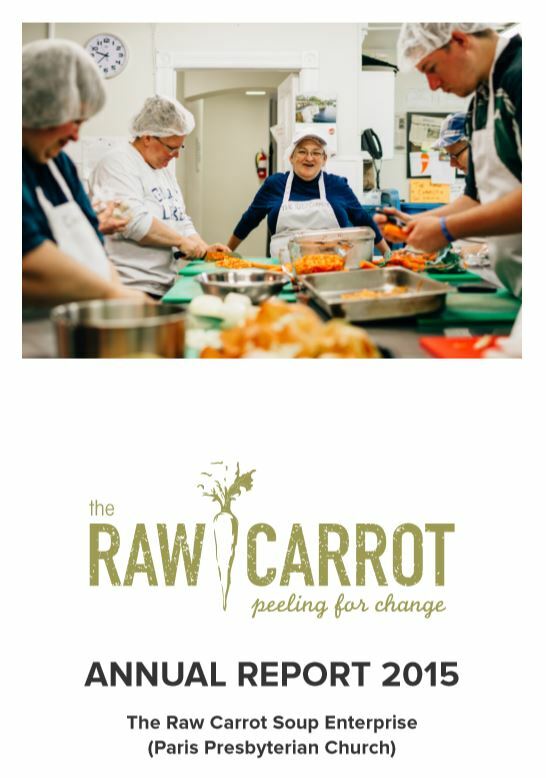 We are now dreaming bigger and hope over the next years to extend The Raw Carrot kitchen into communities across Ontario – bringing meaningful work & delicious soup to people living with disAbilities and barriers to traditional employment. 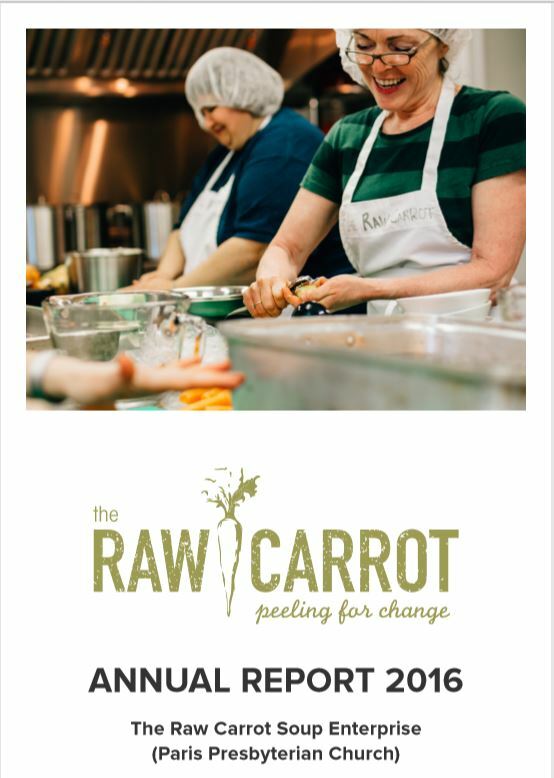 At the Raw Carrot we are “peeling for change” as we believe a Hand Up is way more awesome than a Hand Out!